I found this Serradigitus joshuaensis under a rock in Western, Arizona. It was at 1503 feet elevation. The length is approximately 3/4 inch. 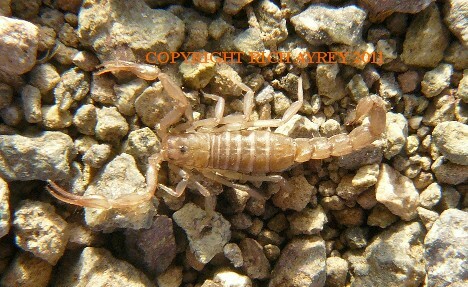 This Arizona Scorpion page created 03/27/08.